The sale comprises just above 300 lots, showcasing important ceramics, jade, Buddhist art, metalwork, paintings, textiles and furtniture spanning the length and breadth of the history of craftmanship in China. All reflecting the Scandinavian collectors keen interest in the subject. To mention some of the highlights; a magnificent blue and white dice bowl from the Yongzheng period, a large blue and white bottle vase from the Qianlong period and a fine painting of Xu Beihong of three horses. 550. 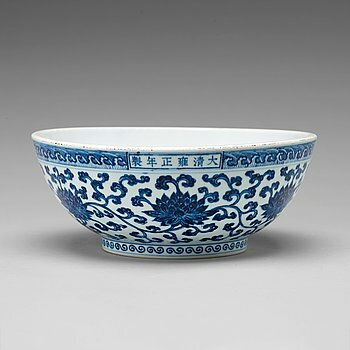 A large blue and white Ming style 'dice' bowl, Qing dynasty, Yongzhengs six character mark and period (1723-35). 556. 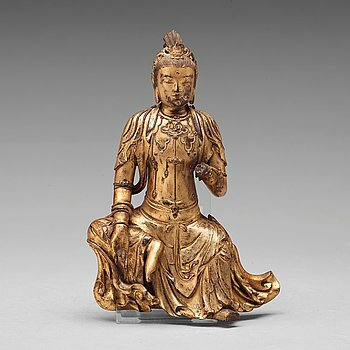 A lacquered wooden figure of Guanyin, 17th/18th Century. 566. 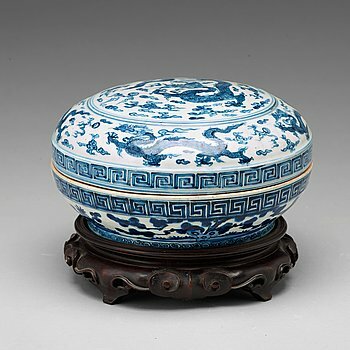 A blue and white box with cover, Ming dynasty, with Wanli mark and period (1572-1620). 584. 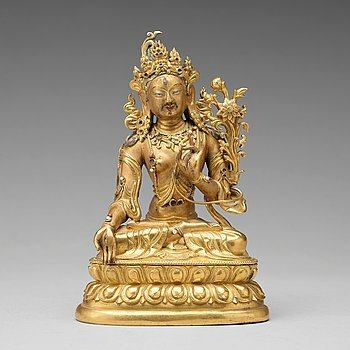 A gilt bronze figure of a White Tara, Tibetan-Chinese, 18th Century. 661. 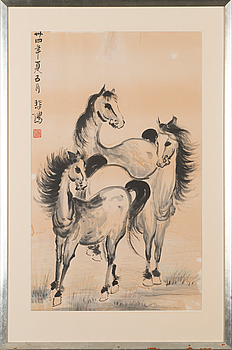 A painting 'Horses' by Xu Beihong (1895-1953), signed and dated May 1945, with the seal of the artist.